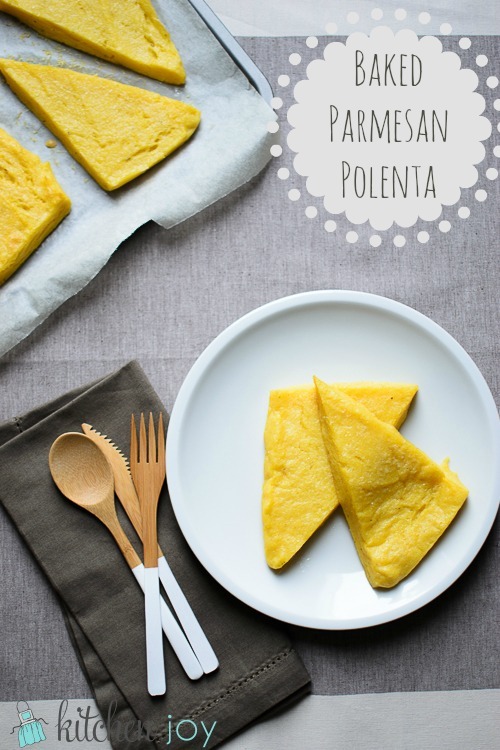 Polenta is a staple in Italian cooking. I must admit though, I am late to the polenta party. I don’t love creamy polenta served in a bowl. It reminds me too much of cream of wheat, and the texture is just not my favorite. That being said, I do love the flavor, which is where baked polenta comes in. I just love baked polenta. The boring texture issue is resolved by encapsulating the delicious creaminess of the polenta in a thin layer of crust by baking it in wedges in the oven. As much as it may look like it is dry and grainy, I assure you, it is neither. 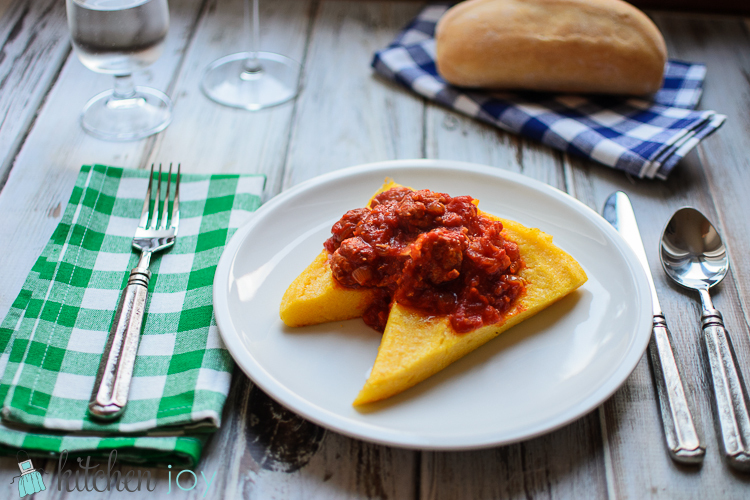 While Baked Parmesan Polenta is perfectly delicious all on its own, it is really fantastic when topped with a hearty sauce, such as a meaty ragu. The best polenta I’ve had so far in Italy was at Rifugio Monte Rite. (You can read about our rifugio trip here.) They served it with “goulash” (nothing like the goulash we think of in America). It was a rich, hearty beef stew made with red wine. Very similar in flavor to Boeuf Bourgignon…to die for. Side note: I know basically nothing about Italian agriculture, but I can attest to the fact that there is a tremendous amount of corn grown here, and it appears that none of it is being served or sold “on the cob” (much to this mid-westerner’s dismay). I have to assume a large amount of it is being made into polenta. Other than that, I have no idea. When we asked about corn on the cob, the response was laughter and “that’s kid food”. Obviously they’ve never been to an American picnic. To make baked polenta, you make the polenta on the stove just like you would if you were serving creamy polenta in a bowl. Then you spread it in a pan, allow it to cool, and refrigerate it for several hours to set. Slicing it in wedges and baking it is all that’s left to do, and then it’s time to enjoy! The time consuming part is the cooling process, but that gives you time to make a wonderful sauce to serve alongside. This time, we just served it with some homemade marinara and added in some browned Italian sausages. Lightly grease a 9x13" baking pan. Set aside. In a large, heavy-bottomed pot, bring the water and chicken stock to a boil over medium-high heat. While whisking constantly: Very slowly, sprinkle in the polenta. (If poured in too quickly, the polenta will be lumpy.) Continue whisking until well-combined. Remove from heat and stir in butter and 1/2 cup Parmesan. Spread mixture into the prepared pan and let sit at room temperature for 30 minutes to cool, then cover with plastic wrap and refrigerate for at least 4 hours. Preheat oven to 400 degrees F. Line a baking sheet with a Silpat or parchment paper. 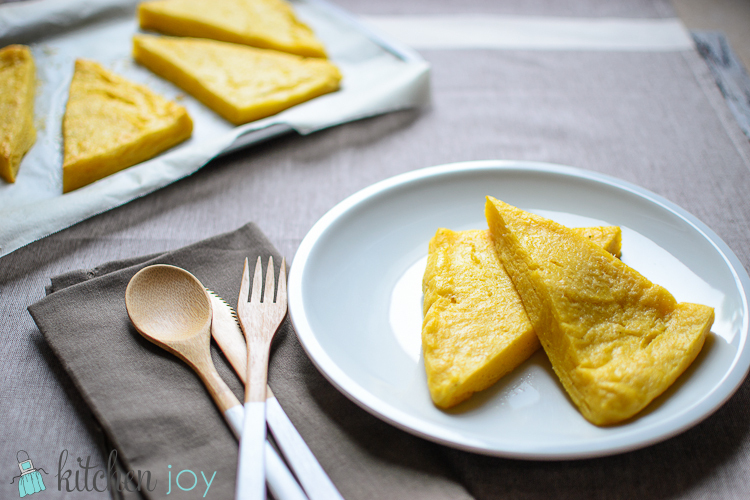 Slice polenta into wedges. Arrange wedges on prepared baking sheet. Drizzle with olive oil and sprinkle with remaining 1/3 cup Parmesan. Bake 15-20 minutes, until slightly puffy and golden. Note: If using instant polenta, reduce initial cooking time to just a few minutes (or as directed on the package), then proceed with recipe as directed.